Superstar sprinter Oscar Pistorius wants the London Paralympics to leave a legacy of regular integration for Paralympic sport in able-bodied events. The 25-year-old South African is making history this summer as the first amputee track athlete to compete in both the Olympics and Paralympics but sees no reason why his feat should be a one-off. "Showcasing an event or two, that's the best thing that should come of this Paralympic Games," said Pistorius, who reached the 400m semi-finals and the 4x400m relay final at the London Olympics. "It would be a kind of legacy showing people, and giving them the opportunity to view Paralympic sport and then giving them follow-up competitions the next year and in years to come on the world stage." To get in tune for the London Games, Paralympians Marcel Hug, of Switzerland and Australia's Kurt Fearnley took part in an exhibition 1500m wheelchair race at the Diamond League meeting in Lausanne. Pistorius, a four-time Paralympic gold medallist, has called for showcase events like this one to be extended across athletics and other sports. "It would be wonderful if some of the Diamond League or [athletics' governing body] IAAF races incorporate to have races for athletes with disability," he said. "The spectators love it. You see the 1500m wheelchair races and people that are not normally exposed toParalympic sports are all of a sudden watching the events and that's the foot in the door to showcasing what it's really about. "The same could be done for swimming and cycling. Our top Paralympic cyclists contending with the world's best is not only something that should be reserved for every four years at a world stage like this. "It's something that bodies like the IAAF and [swimming governing body] Fina need to have a look at in the future. It would be a lovely thing to see." Despite his landmark appearance at the Olympic and Paralympic Games in 2012, Pistorius believes holding both events simultaneously remains an impossibility. "It's a question that has come up many, many times," Pistorius mused. "As far as a logistics point of view, it would be extremely difficult. "To host all the athletes and have a lot more venues is something that I don't think would ever be possible. "And some of the Paralympic athletes say they're happy having the Olympics as a warm-up! "I'm as proud to be a Paralympian as I am an Olympian. I don't think there's anything to be ashamed of. I don't think [Olympic and Paralympic integration] will ever happen and I don't think it'll ever need to." Pistorius, who runs on prosthetic carbon fibre limbs, had to fight a long battle with the IAAF to compete against able-bodied athletes, with the courts ruling in his favour in 2008. His appearance at the London Olympics saw his dream come true but the 25-year-old says the opportunity for other Paralympic athletes to cross over into able-bodied events has always been there. 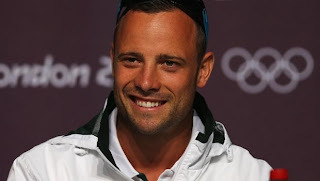 "The doors have always been open," Pistorius added. "A lot of the guys I run against - [Britain's] Jonnie Peacockand [American] Jerome Singleton - run at their regional races and many of their training partners are able-bodied athletes. "I've just been hard-working and talented enough to compete on an international level and it's not that now that I've done it I've opened the door, the door has always been open pretty much long before I was around." Pistorius is preparing for a busy Paralympics Games where he is attempting to defend this titles in the T44 100m, 200m and 400m as well as taking part in the 4x100m relay. "I'm feeling pretty good, I was really well-conditioned from the [Olympic] 400m three weeks' ago," warned the four-time Paralympic gold medallist. "The 200m and 400m I'm pretty comfortable on but the 100m is going to be the tough event. "The 100m has always been a very closely-contested race and there have always been strong competitors. The likes of Johnnie Peacock, [Americans] Jerome Singleton and Blake Leeper and Arnu Fourie, my room-mate - that's going to be a bit awkward the night before the final. "There are six guys that can all have a good foothold, that's why it will be a strong event. "I've been more than impressed with Peacock. He's a huge threat. My personal experience, though, is that experience counts a lot. "If I could just get in the top three in that I'll be very happy. "My focus is on trying to defend my titles but I have to be realistic and say that the 200m and 400m I'm better suited to."